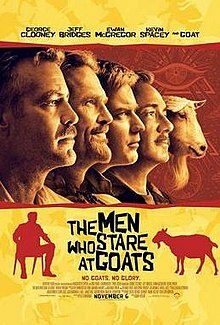 The line came from a bit of dialogue in a 2009 movie featuring George Clooney, The Men Who Stare At Goats. Clooney plays Lyn Cassady. Bob is a reporter friend inquiring about Lyn’s life. Lyn Cassady: No, it’s not like camouflage. Lyn was part of a secret military psychological and paranormal unit. He claimed to be a Jedi, a superpower soldier with extraordinary mental capabilities. It wasn’t that great a movie, but it did have a few laugh out loud moments. Lyn uttered the line in reference to his ability to become invisible. This would clearly be a good thing. A positive tool for any soldier. I’m using the line in reference to our ability to not be noticed. To be virtually – not literally – invisible. Nobody notices. Especially during times when we could most use some noticing. Times when we could use some help. I’m using it as something negative. Something to be avoided or remedied. The burdens of leadership are lonely. And I don’t mean power, authority or being in charge. People become intoxicated with those things. Nobody (at least intentionally) gets drunk on loneliness. They might go mad, but drunk? Doubtful. Loneliness can put the best of us in a quick funk. The loneliness of true leadership – the constant serving of others (which is the name of the game) – is a side disadvantage. To be fair, the advantages of serving others is vast, broad and deep…filled with tons of rewards found nowhere else for the person bent to do the work. The focus is always on somebody else. At least when leadership is done well. It’s selfless. Intentionally so. The leader is not invisible. Rather, she’s in the forefront when others need help. She’s first in line to get the call or text because others trust her. They’re comfortable leaning on her. The leader isn’t invisible because he’s top of mind during trouble. When people find themselves in unchartered water they quickly contact the person with whom they feel most safe and able to help. Genuine leadership derives energy from service. Concentrating on others is the work and leaders would have it no other way. To whom does the leader go? When he’s in need, who does she text or call? To whom can the leader shell it all down with and feel safe? To whom can the leader confide without fear of judgment or betrayal? Who can relate to the leader’s plight of invisibility – those times when the leader needs to focus a bit more on himself? So few leaders have an intentional plan for such occasions. Mostly because they have nobody to whom they can safely go. And if safety isn’t the issue (like a close friend or family member), then relatability is the issue. It’s why husbands or wives in leadership often find it tough to connect and communicate with their spouse about work-related issues. Context and language matter…and it’s a hard thing to accomplish with people who have little or no idea what we may be up against. One solution is to surround yourself with people to whom you’ll never be invisible. People who will be involved with you and people to whom you can be involved. Peers. According to research done by my friend Leo Bottary (co-author of the book, The Power Of Peers), there are 5 factors that bring about the peer advantage. A peer group is smarter than any one individual. Leaders benefit from insightful questions and the impartial advice of their peers. People prefer to implement their own solutions, rather than be told what to do and how to do it. Success is the most effective means of driving positive behavior changes. Leaders, regardless of industry sector, share common aspirations and challenges. Leaders benefit from learning about industry practices not common to their own business. When you can share anything, knowing you won’t be judged, it’s a powerful force to help you grow. A healthy respect for confidentiality is mandatory. What happens in a group, stays in the group. It’s not negotiable. Vulnerability is seen as a strength, not a weakness. Creativity and change are fueled by our willingness to be open. True smart guides lead with the hand of a servant. They listen, ask good questions, build camaraderie, consider themselves as coaches rather than consultants and wear their passion for the role on their sleeve. The smart guide is part of the group and every member of the group has their back. They reinforce group norms, create an atmosphere of learning and have fun – all at the same time. Confidentiality is key. That safe environment fosters more open interactions. Skilled, repeated interactions create close bonds among group members who share in the joys of repeated successes. The use of a highly strategic and structured approach fosters more skilled discussions. It involves properly framing the issue, asking questions informed by experience and leveraging the power of a collection of successful business owners. It provides an unparalleled opportunity for personal and professional development of every member. Accountability is where peer advantage comes to life. It’s where the outcomes and takeaways each business owner realizes manifest themselves both personally and professionally. It’s the whole point — to grow. To improve. To be more effective. The difference between peer influence and peer advantage is that peer influence is an individual pursuit while peer advantage is a group endeavor powered by greater selectivity, targeted strategies for achieving goals and structured engagement that inspires lasting results. These 5 factors are part of The Peer Advantage by Bula Network. This is my solution to help you avoid the dance with invisibility. It’s just one answer for 7 U.S.-based entrepreneurs. I’m currently accepting applications at ThePeerAdvantage.com. This life-changing opportunity will provide 7 small business owners the opportunity to fix their loneliness once and for all. To surround themselves with other owners who will help them learn, understand and grow. I invite you to complete the application today. It’ll only take you a few minutes. Once I get your application, I’ll reach out so we can schedule a phone call. That phone call isn’t a sales pitch of any kind. Rather, it’s a time for me to learn more about you and your business – and an opportunity for you to learn whatever you’d like about me and The Peer Advantage by Bula Network. We’ve just completed week 1 of Q2. Don’t put it off. It’s time to leverage the power you can gain in surrounding yourself with people fully capable of helping you grow your business, your leadership and your life. Go to ThePeerAdvantage.com right now and complete the application.